As the world continues to face unprecedented threats to its security, the old saying that the more things change, the more they stay the same rings truer than ever before. In the midst of rapid global transformation and political turmoil, a burgeoning arms race between two Balkan rivals is leaving many wondering whether the Cold War ever really ended and whether the current events in the Balkans and Ukraine are just another iteration of the decades long struggle between the Russian Federation and the West. After stating its desire to acquire 12 PzH-2000 mobile artillery systems from the American military in mid-July, the Croatian government recently announced intentions to purchase sixteen M270 ATACMS ballistic missile systems, ostensibly to augment the antiquated inheritance it received from the crumbling Yugoslav Army during the breakup of the 1990’s. In a swift and somewhat dramatic response, the Prime Minister of Serbia, Aleksandar Vučić, decided that “Serbia must have [an] answer to ballistic missiles in [the] region.” Serbia’s “answer” was to query its old Slavic ally, the Russian Federation, about potentially bolstering its air defense with Russian-made surface-to-air missile systems and anti-aircraft batteries capable of deterring the Croatian missile systems. The tough talk and military brinkmanship of the Croatian and Serbian governments appears to be nothing more than an all-too-familiar scuffle between the old Balkan rivals; however, given the recent antagonism between Russia and the West over Ukraine and Syria, as well as the ongoing economic sanctions against the Russian Federation, this is likely more than merely a simple military upgrade. The purchase of ballistic missiles by either Serbia or Croatia would shift the balance of power in the region significantly. More importantly, Serbia’s consistent pro-Russian stance is a threat to NATO’s consolidation in Europe as Serbia represents one of the few remaining bastions of Russian influence in the continent. Arming Croatia could be seen as an attempt to pressure Serbia to abandon its pro-Russian stance, secure NATO’s pre-eminence in the region, and isolate Russia from its only European ally. In October, 2015 the Croatian Armed Forces announced that they are looking to obtain short-range surface-to-surface ballistic missiles, supposedly for purely defensive purposes. 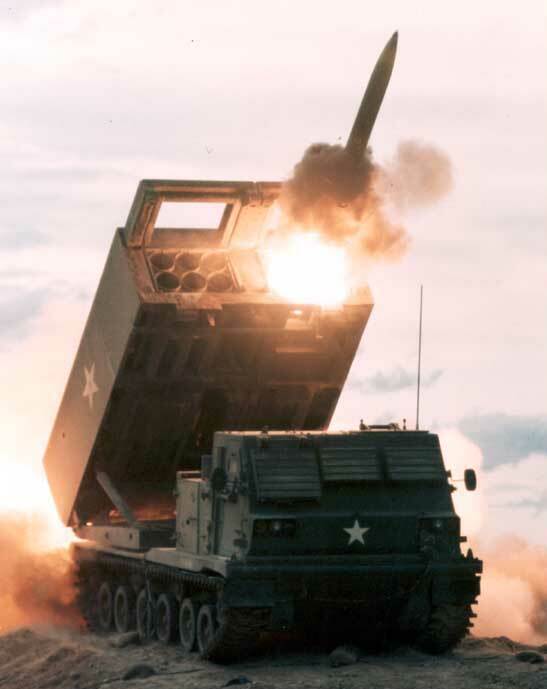 The weapons Croatia is looking to obtain are sixteen mobile M270 ATACMS MLRS systems, and a full complement of MGM-140 missiles. These missile systems have an approximate range of 300-350 kilometers. With this range, “You can target, from Zagreb or any other town, any town in central Serbia,” stated Serbian Prime Minister Aleksandar Vučić, leading to condemnation by the Serbian government despite assurances made by outgoing Croatian Defence Minister Ante Kotromanović that Serbia has no reason to be nervous. Regardless of whether the acquisition of armaments is solely for domestic and defensive purposes, the fact remains that as Croatia and Serbia respectively entertain the idea of modernizing their armed forces with ballistic missile systems and air defense systems, the entire region of the Balkans becomes more unstable. According to the 2016 Global Firepower Index, of the 126 countries studied, Serbia and Croatia currently occupy the 70th and 62nd spots respectively, making them relatively even in terms of military strength. Croatia’s announcement to procure ballistic missiles however, would dramatically skew the balance of power in the region in its favor and would give Croatia a significant military edge over its eastern neighbor. As previously stated, most of central and northern Serbia would be well within range of the missiles and Serbia’s current military arsenal would be incapable of countering any potential ballistic missile threat. As a result, Serbia has been scrambling to announce its intentions to purchase Russian weaponry capable of neutralizing any threat that would come from the hypothetical purchase of ballistic missile systems by Croatia. Essentially, the Serbian response, as well as Vučić’s promise to not purchase the Russian missiles if Croatia abandons its desire to acquire missiles from the US, signals Serbia’s desire to maintain the fragile equilibrium in the region and to not disturb the current balance of power that exists. However, even if both Serbia and Croatia acquired missiles and air-defense systems that are evenly-matched and equilibrium in the balance of power is technically maintained, the result could be an arms race that would eventually spiral out of control. Neither side would feel secure in their military capabilities relative to one another and would begin arming themselves accordingly. The Western Balkans has been a zone of contention between the West and East for many decades. During the short lifespan of the Socialist Federal Republic of Yugoslavia (SFRY), both blocs jockeyed for power and influence within the neutral socialist republic. As socialism in Europe collapsed, so too did Yugoslavia, culminating in a bloody five-year conflict that took hundreds of thousands of lives and led to the nation fracturing along the borders of its constituent republics. The disintegration of Yugoslavia represented a new opportunity for both Russia and the West to exert their influence over the newly formed republics and draw new boundaries in their respective quests for geopolitical supremacy. Once the ex-Yugoslav constituent republics had gained independence, most began to move towards the dominant Western Bloc. Slovenia acceded to NATO in 2004, with Croatia following in 2009. Montenegro received a formal invitation to join in December, 2015, while Macedonia joined the Membership Action Plan to start accession proceedings in 1999. Bosnia-Herzegovina has also received an invitation to join the Membership Action Plan, but has yet to do so. Serbia however, while determined to join the EU, has prided itself on maintaining its neutrality and has refused to entertain NATO membership as an option, with memories of the 1999 NATO bombing campaign fresh in the minds of Serbia’s citizenry. Many foreign policy analysts, including Dimitri Trenin, have described the ongoing (and escalating) political and military tensions between the West and the Russian Federation as constitutive of a Second Cold War. With Western economic sanctions against Russia in full swing and a NATO-wide condemnation of Russia’s pro-Assad intervention in Syria worsening their diplomatic relationship, the “sudden” move by Croatia to consider procuring ballistic missiles begins to make sense in the wider geopolitical landscape of current diplomatic hostilities between the West and Russia. Russia and Serbia have been traditional allies for centuries, sharing commonalities such as an Orthodox Christian religion and a Cyrillic script, and cooperating closely on economic and military matters. Serbia has closer ties with Russia than any of the other nations of the former Yugoslavia and Russian President Vladimir Putin enjoys a higher popularity than even Serbia’s own Prime Minister Aleksandar Vučić; some political analysts have gone as far as to say that joining Western sanctions against the Russian Federation would be “political suicide” for the current Serbian administration. Thus, Serbia essentially represents Russia’s only reliable ally in mainland Europe and as a result, is of crucial importance to Russia and its desire to expand or at the very least, maintain its current level of influence in the Balkans and Europe as a whole. In December 2015, Montenegro was invited to join NATO, meaning that Serbia, Russia’s main ally in the region would be surrounded by either full-fledged NATO members or states that have explicitly expressed their desire to join the alliance. Croatia’s declared desire to purchase ballistic missiles capable of threatening Serbia’s heartland can now be represented as an additional avenue of pressure that NATO is putting on Serbia and by proxy, Russia. If Montenegro joins NATO and Croatia obtains its missiles, Serbia will find itself completely surrounded by NATO states. If this becomes the case, Serbia will have little choice but to abandon its current stance of Russian-aligned neutrality, lest it be isolated from all of its neighbors; in turn, the Russian Federation would be deprived of its main European ally. Without a pro-Russian state in the Balkans, Russian influence in Europe would be greatly reduced and its ambitions to establish a Russian sphere of influence in the region would be all but eradicated. Additionally, the loss of Serbia as an ally in the region would be the nail in the coffin for Russia’s goal of building a gas pipeline through the Balkans and into Europe. Thus, the pressure NATO appears to be putting on Serbia represents, in addition to the economic sanctions, a means of isolating Russia and pressuring it into a more conciliatory approach to Western foreign policy objectives. Given the ongoing massive protests against NATO in Montenegro, it is unclear whether NATO’s strategy of cornering Russia by isolating Serbia will succeed. However, given the wider context of current Russian-Western Bloc political tension, it is clear that Croatia’s military posturing is not primarily targeted at Serbia. Rather, it is targeted at Russia. Serbia, with its pro-Russian sentiments and official policy of neutrality, is the only country in Europe which stands in the way of NATO’s consolidation of power in the region and the only true ally Russia can speak of in the Balkans. In order to achieve stability and pre-eminence over all of the Balkans, NATO must be certain that Serbia is not in a position to pursue alternate avenues of military and political alliance. Croatia’s attempt to purchase ballistic missile systems could be construed as a single aspect of a NATO plan to continue to isolate Russia politically and economically; Serbia’s abandonment of its pro-Russian neutrality as a result of NATO pressure would result in the Russian Federation’s loss of its last bastion of support in Europe, diminishing its power on the world’s stage considerably and isolating them from their only ally in Europe. N. Dumanovic is a political and economic writer who focuses on the Balkans and Eastern Europe.